♫ Time ♫ Why you punish me? 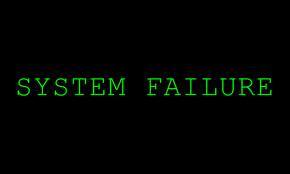 Top 10 missed opportunities in your dental practice. Too bad opportunity doesn’t come with an alarm; a buzzing signal to notify us of opportunity directly ahead; pulling us from our harried thoughts and opportunity detractors to enable us to not only focus on the opportunity but to make the most of it. Alas. Life intervenes. Work intervenes. Family intervenes. And yet time goes on. In the midst of the daily hustle and bustle of the dental office, many opportunities are simply overlooked. Not intentionally. Well, maybe some are with the lack of people wanting to go the extra mile, but most are missed because of the excuse “I didn’t have time!”. If someone clearly HAS the time but infers that they don’t, well, it’s time to get support/organization and training to get the train on the right track. Clearly defined expectations and job descriptions. Discuss as a team where you might find opportunity if you look hard enough, then discuss ways to tap into it and overcome the challenges that might come with it. Stop the madness today of missing daily opportunity because you don’t have time……….. Enlist the services of a support team if you must and watch your production increase! 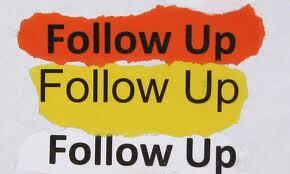 1) LACK OF FOLLOW UP – By this we mean ANYTHING that needs follow-up. 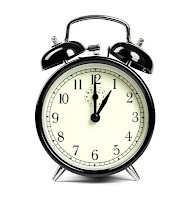 A patient phone call or message – should always be returned within 2 hours. Specialist follow-up to keep treatment going – patient referrals should always be recorded in the tickler system to never lose sight of progress and when they need to return. Responding to an email – again, should be within 2 hours. 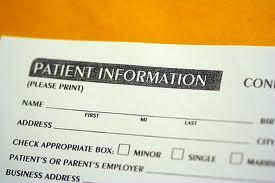 Patients leaving without scheduling their next appointment – follow-up should be marked within 7 days. A patient who has been ill or lost a loved one – send a card. TODAY. A patient who states they can’t come in as they lost their job (send a card with a dinner gift card in it) or lost their benefits (offer QDP) but always mark the tickler system to follow-up within the next 2 months. Post op calls for anyone who had anesthesia or even possibly a large treatment plan presentation. How are they doing? What questions might they have. You must always think outside of your immediate box to be able to tap into opportunity that you’ve never even realized was there. THE FORTUNE IS IN THE FOLLOW-UP!! 2) ANSWERING THE PHONE LIKE YOUR HOUSE IS ON FIRE. Harried, unintelligible, “what do you want I am busy!” greetings do ZERO for your practice. In fact, it takes you in the red. It SUBTRACTS from you. The phone is your LIFELINE and should be treated as such. Smiles, warmth in the voice and a calm demeanor. You have to answer the phone anyways, why not do it RIGHT? It doesn’t take any more time. Oh – and in my humble opinion, answering the phone “Dental Office! !” is an atrocity! If you don’t have time to tell me the office name, and YOUR name, I can guarantee you that I am thinking you don’t have the time to take care of me and my family the way I want to be taken care of. No patients for you! 3) EVERY CALL IS AN OPPORTUNITY. Even if it’s a cancellation… Opportunity. Price Checkers… Opportunity. Account Questions…Opportunity. When we are on the phone, we are not only supporting the patient, but we are looking around their account to see what opportunity lies within. Are they due for recare? Do they have unscheduled treatment? Is anyone in their family due for recare? Are we taking the TIME to locate the opportunity? If we are scheduling a new patient, we end every call with “Who else in your family can we schedule an appointment for?” (remember, don’t ask YES or NO questions!) For price checkers – if you have a program like QDP (Quality Dental Plan – Check it out!!) it’s so easy to convert these callers to patients of record! If you do obtain price checkers name/number, mark them for a follow-up call within 2 weeks – give them a call and ask “How well their search for a dental home is going”….. Also be sure to end each new patient call with “Are there any other family members you would like to schedule an appointment for?”. BOOM! You’ll be surprised at how many do! 4) EVERY VISITOR – EVERY SALES PERSON – EVERY PERSON YOU MEET – EVERY CALLER. Potential patients. Take the time to treat them as such. “nuff said. 5) INCONSISTENT RECARE SYSTEM – A consistent, tried and true, systematic protocol for reaching out to patients who are due for recare. Post cards, electronic communication system reminders, phone calls, emails. Who does what, and by when? Run your past due recare report and get working on it! You say you don’t have time, but if you don’t do this consistently your schedule will soon be sparse enough to allow you the time. Get a solid system in place then measure the effort and results. Post cards should be sent out the second week of every month – one for reminders of patients who have appointments already scheduled for next month, with a request of action on their part to call to verify their appointment and another set for patients who are due yet have no appointment. Get that phone ringing! Recare calls should be made daily. Remember, What Gets Measured, Gets Done! 6) EFFECTIVE PATIENT COMMUNICATIONS.Reading a patient’s questions, body language and hesitations are crucial to supporting their care. Take the time to acknowledge their questions, ASK them what questions they have after presenting treatment or financial discussion. That is all anyone wants is TIME to help them feel comfortable with their decisions. One of the best questions you can ask a patient is “What questions do you have for me?”. 7) ACKNOWLEDGING A LIFE EVENT. Patient cancelled because they are ill or a family member is ill? New baby? Someone getting married? Someone pass? Watch your local newspaper and cut out clippings for acknowledgements of life events for current patients. 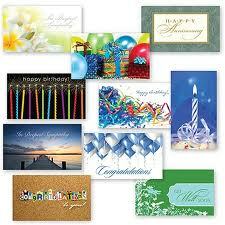 Send happy birthday, anniversary, sympathy, graduation or get well cards signed by the whole team. Costs little but impact is HUGE. 8) ENGAGING IN YOUR COMMUNITY. A local fair? Festival? School Event? Opportunity to speak to schools or daycare? Visiting local businesses with a basket full of goodies, toothbrushes, business cards, a nice smile and a personal invite to visit your practice? Priceless. 9) INTERNAL MARKETING AND REFERRALS. I said the dreaded “r” word. I felt you all cringe. I heard the sighs. And I saw the “eyerolls” by every single team member. Referral request. How hard is it to ask a great patient “Would you be willing to share our practice information with family and friends?” Really. How hard is THAT? Not hard at all. And patients will not tell you NO. Have a care to share card ready as a prop to support your request and watch your patient referrals increase. Fresh, crisp marketing materials and new patients packets. If you have less than stellar printed materials you might want to Check your cheeze-whiz! 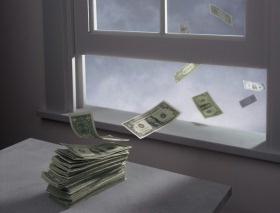 10) PAYING TONS OF $$ FOR MARKETING (websites, mobile websites, direct mail, billboards, email campaigns, pens/paper/toothbrushes – all aimed at driving patients to the PHONE) Why pay all this money in marketing to drive patients to the phone and you only answer your phone the average of 24-26 hours a week? What about the other 14-16 hours? We get that staff needs/wants time off – we get that you can’t live in the office – but we also know from experience that opportunity doesn’t quit calling when you’re out of the office… It keeps calling and you can either maximize it NOW or possibly never. People call to schedule something NOW. They call to get their questions answered NOW. They call to pay their bill NOW. They call to schedule a new patient appointment NOW. People ACT on emotion and you need to be available when that emotion is hot! 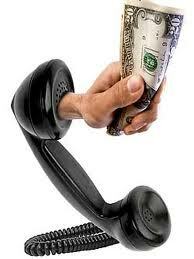 Answer the phone and quit throwing your marketing $$’s out the window! Make a plan. Then DO IT! Here’s to maximizing opportunity by maximizing time. 1 Response to ♫ Time ♫ Why you punish me? Top 10 missed opportunities in your dental practice. Mary Beth, you’ve covered, no you’ve smothered, all the bases!! Thank you for your thorough and comprehensive blog article.